"Individuals with income up to Rs 5 lakh will not be required to pay any tax," Goyal said while presenting Interim Budget for 2019-20 in Lok Sabha. "This will provide the benefit of Rs 18,500 crore rpt crore to 3 crore middle-class taxpayers self-employed, senior citizens," he said, adding the number of beneficiaries will go up for those who have made investments in mediclaim and pension. 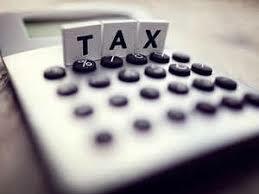 Standard deduction has been raised from Rs 40,000 to Rs 50,000 which will benefit three crore salaried individuals.